Former Chelsea manager Jose Mourinho refused to take credit in the success story of the retiring strike Petr Cech, although he is the first one who gave the big break to the goalkeeper during his time with the Blues way back in 2004. The current Arsenal goalkeeper recently announced that he will opt for his retirement at the end of this season and Jose Mourinho pays tribute to his brilliant career. 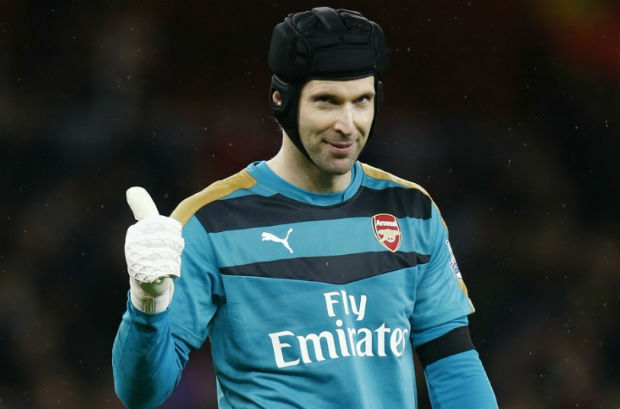 Petr Cech played most of his career for Chelsea and appeared in more than 300 matches for the Blues jersey before he took his transfer to the Gunners’ squad in 2015. Recently-sacked Manchester United manager, Jose Mourinho, is the first one who gave the Czech goalie his first big break to stand beneath the crossbar of Chelsea.